Obviously I haven’t forgotten it. But nearly everyone else has. Around the late 80s the Japanese car industry had a thing about technology. An arms race between Honda, Toyota and Nissan had the firms vying to outdo one another in the levels of fiendish ingenuity they could tempt customers with. An economic boom drove this boom in engineering silliness. 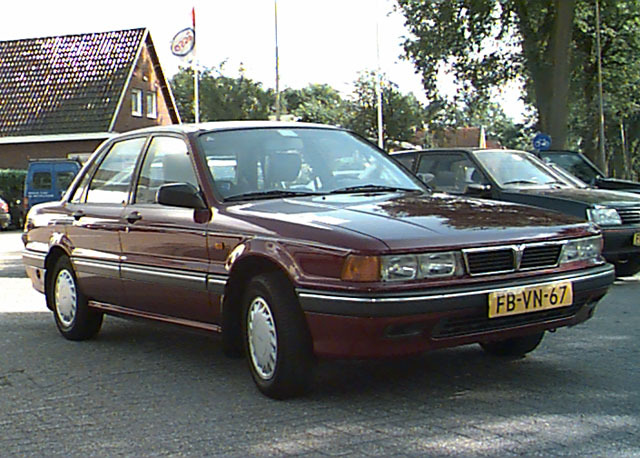 Whereas in Europe and the US the late 80s economic expansion meant more cubic capacity, the Japanese tended to focus on all the other areas of the car. It led to some wonderful creations, hopeful monsters like this all-wheel drive Mitsubishi saloon. Mitsubishi took two technologies and crammed them into the handsome and rather formal body-shell of the Galant: four-wheel drive and four wheel steering. 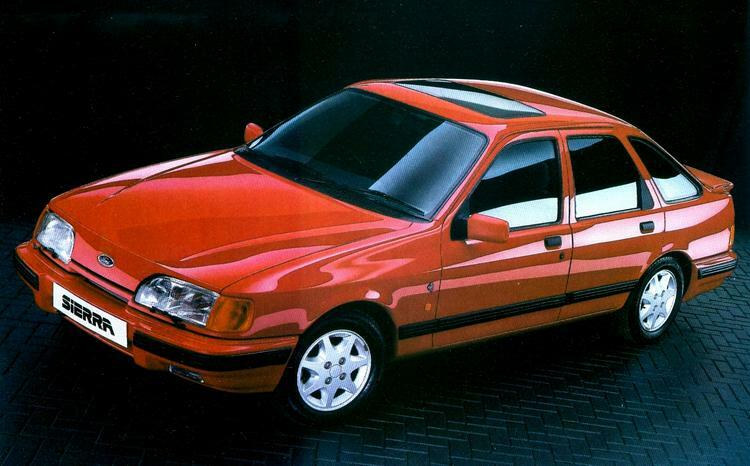 It also had a 2.0 litre, twin-cam engine with four valves per cylinder (Ford’s Sierra packed a V6 and cost less). The four wheel steering was active and not a passive steering as was fitted to cars like the Citroen ZX. That meant it turned in active response to what the front wheels were doing, and that required complex linking systems from front to back. Both Autocar and Performance Car came to the same conclusions, that the dual punch of four driven wheels and four wheel steering was disappointing. If I had read that at the time I’d have taken that for gospel. These days I view this analysis with a pinch of salty scepticism. And I expect that these days a 4wd, 4ws car with a proper power-assisted mechanical rack would feel like a revelation. 1989 Mitsubishi Galant. It´s not too much of a stretch to say this looks billet solid, a look VW cracked six or seven years later. Looking back, I find it hard to believe the Vectra was remotely as well made as the Mitsubishi. But at the time this difference might not have been so clear. In any case, the Galant cost a lot. Problem two is that in particular, the car didn’t feel substantially different from its 2 wheel drive, two wheel-steer sister. “We expected more of the driving performance….” but then they say “Tight corners that would have the front-drive car scrabbling for grip reveal only a slight understeer, the driver simply turns in and powers around”. As an armchair road tester I can only guess what happened here. This is my guess: the Galant’s technology reduced all the effects of a sodding great mass of metal wanting to carry on going its own way to the point where that tendency was hard to notice. And the fun of driving is balancing the impetus the car has to go the wrong way with the means to keep it going the right way. In a 4wd 4ws car that tension doesn’t exist. It’s often said the most fun car is the one with the least grip and worst handling. The corollary of that is that a car loaded with advanced tech feels as if nothing is ever going to happen. Looking back I think we can call the late 80s and early 90s the full and final flowering of analogue engineering. The Galant’s peer group is a roll call of cars without equivalent today: Audi 80 Quattro, Ford Sierra 4×4, Mazda 626 2.0 GT 4WS (for goodness’ sake), Toyota Camry GLi 4WD and the Opel Cavalier 2.0 4×4. Not to mention Citroen’s 4wd BX. Today that mechanical variety is gone and those cars that remain are loaded with electronic and digitial systems instead. I saw what I assume was the first VR-4 in the UK in early 1988 at Mitsubishi Ralliart’s headquarters in Essex. It looked a very coherent and well thought out package, both on paper and in the metal, and it still does. It spawned the Lancer Evolution range and spurred Subaru to make its performance oriented 4WD vehicles, so it is an influential car. Vauxhall/Opel’s 4WD system might have been judged less ‘effective’ in a long term test. The transfer box was prone to failure, a trait exacerbated if there was any difference in all 4 tyres. That meant pressure, brand and tread depth. So a bad puncture meant changing all 4 tyres! You get the idea that Mitsubishi wouldn’t have thought their car ready for production if it had such a problem but, yet again, clever engineers from one of the US giants were scuppered by penny pinching in the production development area. Thanks for adding that – it puts the Galant in context in a way I hadn’t thought of. I simply did not see a link; now I do. Japan is a country for technology-junkies. Sometimes they invent things just to have then invented. I think the modernism and passion for technology is traditional because of missing resources concerning materials, energy and food. So inventing technology is very traditional and parrt of their conservative lifestyle. Not a special technoloy is their religion but the eternal search for a new technology. i always like the emotionless and quite natural way to install extraordinary technology in all sorts of cars. Remember the rotary engines in Mazdas as the RX-3 or their miller-cycle-engine, Or the first Toyota Prius or Honda Civic IMA – High-tech in very ugly conservative dresses. Or the Subaru XT with air suspension, 4-wheel-drive and digital instruments. Or the brilliant engine of the Honda S2000. Or the wonderful Honda CR-z, a car that no one understands here. Technology – reliable technology – is not part of a marketing-strategy it is a part of their lifestyle. A total different philosophy compared with Audi for example (technology -mostly not self invented – for creating an image to raise their prices). This model was technicall overkill, with one very important flaw – it’s suspension was rather unsorted, according to Le Moniteur Automobile of those days. Somehow, switching to electronically controlled suspension (not that rudimentary, as it was sort-of active or something…), they ruined nice, plush ride of 2WD version and made it kind of ‘degresive” – hard on impact (bad sompliance), then going softer and softer (floaty ride, never settled…). I reckon this car would some on of the problems of Mitsubishi’s strategy – making great concepts unnecessarily complicated and then adding more features! Performance Car came to a similar conclusion. Do you ever wonder about the reviewers though? I haven’t observed a great deal of overlap between their opinions and mine. Engineering aside, the Galant was a pretty solid car with first rate styling. I reckon one of these would cut a dash in the 2016 car-park: nicely upright but with those amazing radii. Thanks for taking a look at this article! I have learnd to trust Le Moniteur almost 100%, as their attention to detail was almost incredible (their single-car test were usually 12 pages long! …used to be…they gradually changed to attract wider public and in my opinion, completelly lost it in 2009…but that another story). Back to Galant – considering number of them still running in Serbia (mostly on LPG), where they have never been officially sold, and few of them of this 4WD/4WS variety, one has to admit their reliability is excellent. 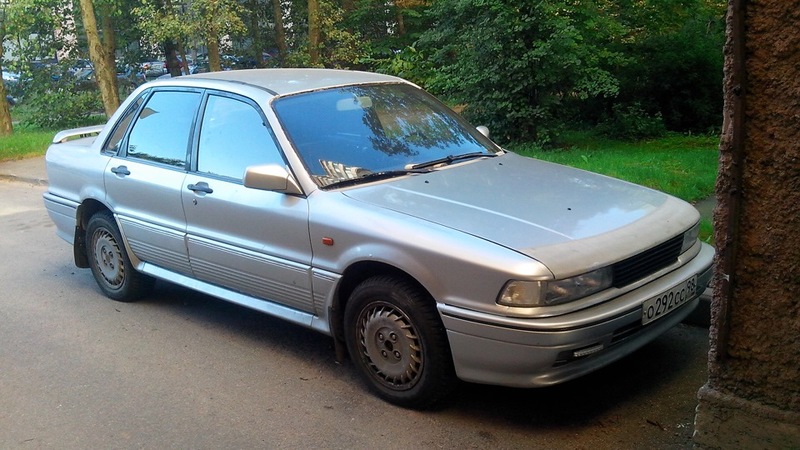 I was tempted to buy one few months ago, but as my car purchase criteria was rather specific ( budget of 1200 EUR for purchase, of low-maintenance, low-consumption car, that would do 100,000km in next 3-4 years), I went for ’90 Corolla 1.3, with aircon. I was privileged to own one, picking it up from a Mitsubishi dealer when it was about a year old. It was driven briskly with lots of back road work. Handling at the time seemed really good with fantastic turn in, the 4WS giving a nice smooth arc as you entered a corner. Build quality compared to its peers was much better. Traction was amazing, it was pretty much impossible to break traction even in the wet pulling out of a junction, giving it lots of revs and dropping the clutch in would result in clutch slip rather than loss of traction. Faults, if anything the biggest problem was that the excellent handling and traction meant that you really needed more power to make the most of it. Then of course there was the failure of the belt that drove the lanchester balancer shaft which took out the cam belt leading to intimacy between valves and piston which ended our association.